North Yorkshire County Council has launched First North Law, becoming the first local authority in the North to trade its legal services. This newly formed company has the ability to trade more widely in a range of specialist legal services to other public sector bodies as well as the private sector. The move has recently been given the green light by the Solicitors Regulation Authority after First North Law was required to create an Alternative Business Structure (ABS) to set up the commercial venture. The creation of the company supports the County Council’s commercial growth with its expanding portfolio of services offered to external markets including initiatives in education, waste disposal, broadband, information governance and auditing and in property. These commercial ambitions are driven by the council’s determination to protect as well as transform frontline services. North Yorkshire’s trading arm The Brierley Group already generates sales of around £95m, contributes £2.2m towards the costs of the Council and adds £3.6m profit on top. 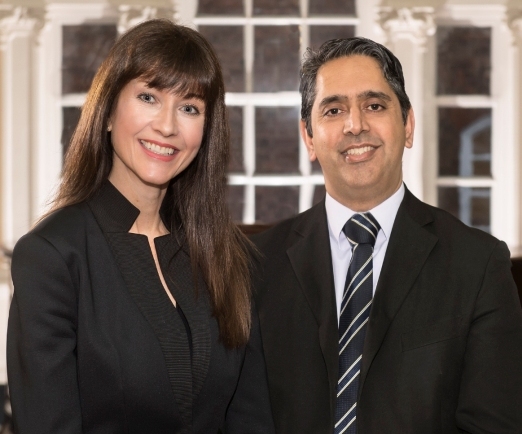 First Law North will be headed by Barry Khan, who is the council’s assistant chief executive for Legal and Democratic Services and managing director of the company and Hilary Irving, head of legal (People Services) for the Council and Director of the company. First North Law will be offering services across a wide range of fields including education and schools law; adult and children’s social care; employment law; debt recovery; information law; governance; commercial and procurement services, business and environmental services such as advice on minerals and waste planning; highways maintenance and improvement and flooding (the council is the lead flood authority). The company will also offer training across all of these specialisms. “We are the first authority in the North to trade in legal services” said Barry Khan. “Our team is a highly professional body and as we work for a local authority with an outstanding record in areas like children’s services, and in transforming services and organisational delivery, people can be confident that we work to the highest standards and with great integrity. “We believe other private and public bodies, including the voluntary sector, will benefit from having a trusted and extremely competitively-priced law firm at their disposal. “As well as holding the Lexcel accreditation for almost two decades, our legal team has an enviable background and reputation and we pride ourselves in achieving excellent customer satisfaction. Jenn Plews, chief executive officer of Northern Star Academies Trust, said: “The high quality service that the county council’s legal services provide has been invaluable to my organisation. We have always found the team to be highly responsive and very thorough in their work, providing effective and efficient support on all occasions”.